Say that it’s the end of summer and you have unwisely planted roughly 30 green basil plants and 30 purple basil plants in your garden. Now some of them didn’t make it because of transplant shock, the drought, or they got eaten by voles, slugs, or Japanese beetles, but that’s still a crap ton of basil. And say you didn’t make it any better by pinching diligently this year so that some of the plants are two to three feet high. What do you do? You don’t want to waste this basil. The basil I froze last year in oil turned dark and icky looking. 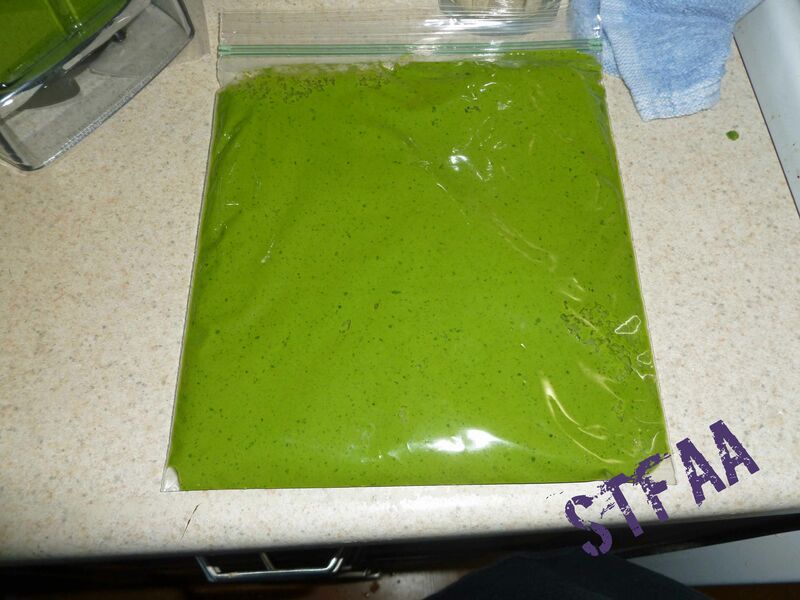 So I went poking about the internet and found this post about preserving your basil and how to keep it green, including making pesto to freeze. I thought I could make pesto and freeze it, but then it’s pesto forever, and given my propensity for developing new allergies, I figured two ingredients in the freezer is safer. Then later on I can add garlic or cashew nuts when I’m ready to use it. Or I can use in it applications where you just want some basil, but not necessarily pesto. So basically what I’ve made is a basil and olive oil paste that will store in the freezer easily and not turn black and icky looking. 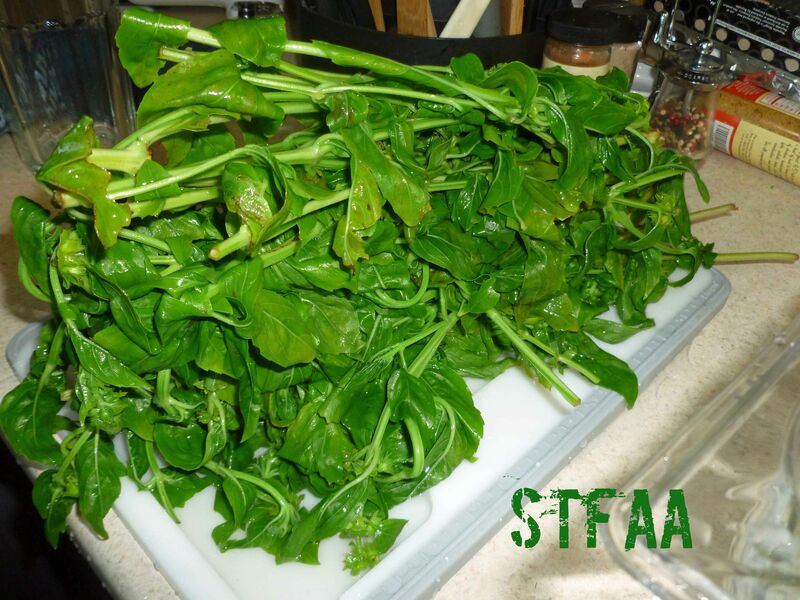 Yeah, this isn’t necessarily a normal recipe for us, but I’m pressed for time with harvest stuff, and some of you might be wanting to save a bit of summer for later if you’ve got an overabundance of basil in your garden or if you see some at a farmer’s market. 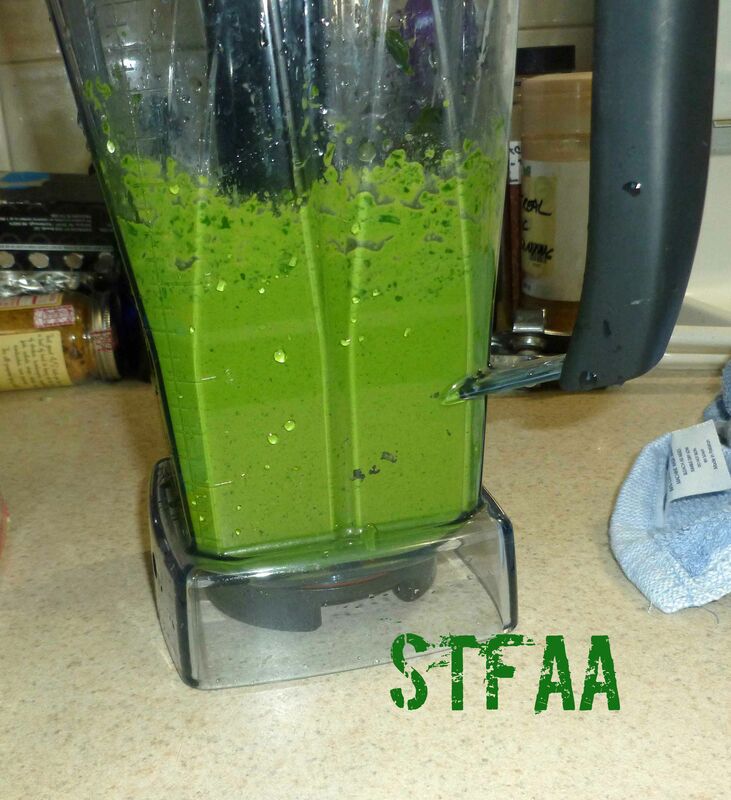 I’ve got a step by step recipe card below, but here’s the photo play by play first. 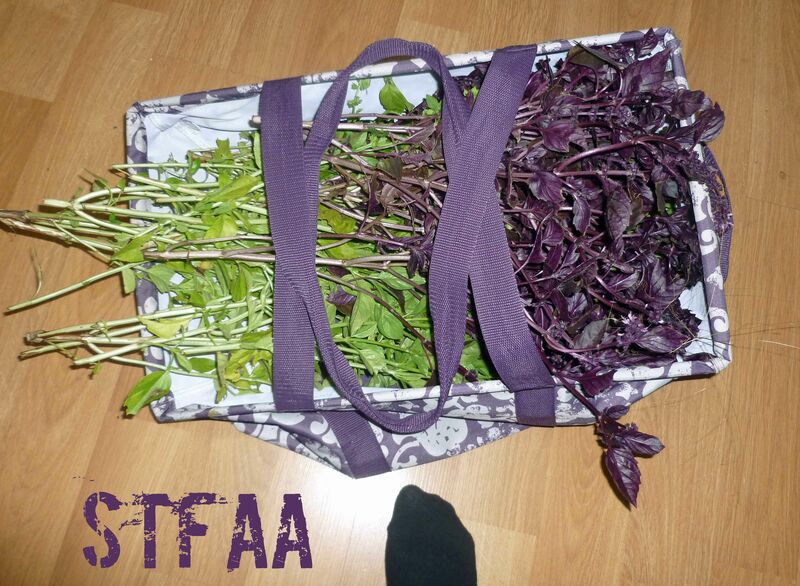 Rinse fresh basil and trim off any discolored leaves. Make sure remaining stems will fit the diameter of your pot. 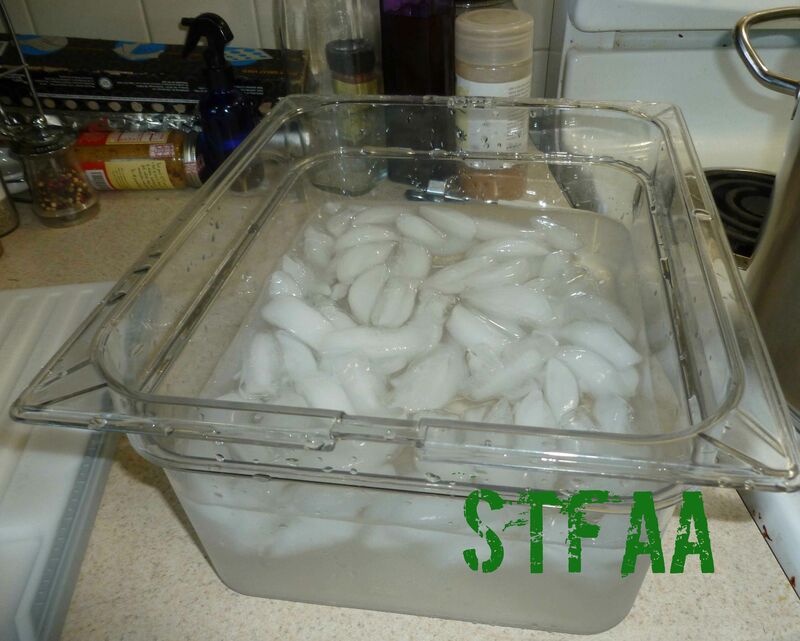 Place enough water in a pot, so that the water is three inches deep. Bring water to a boil. 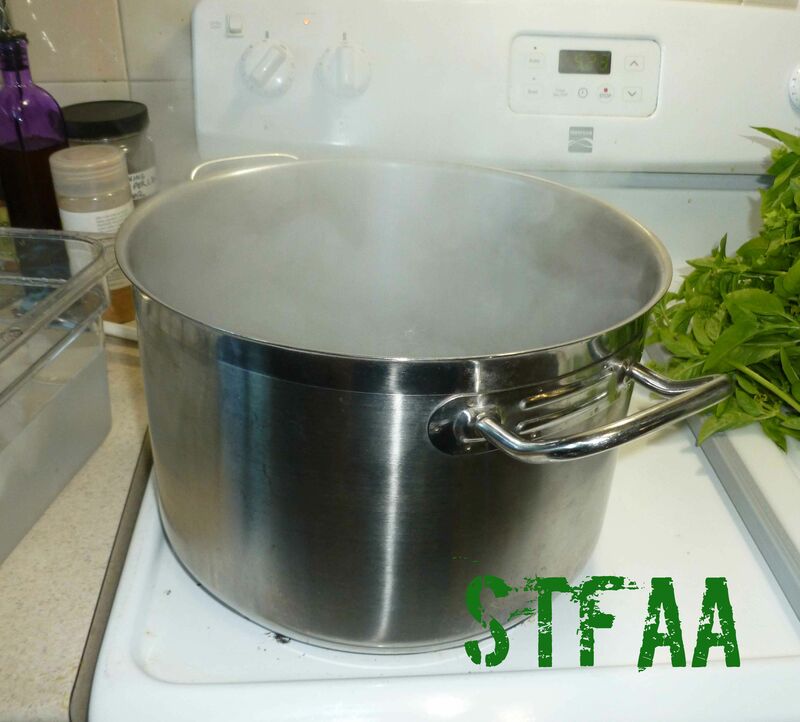 In another container, bowl or pot, add cold water and plenty of ice, making sure you can fit the stems of the basil it in submerged. 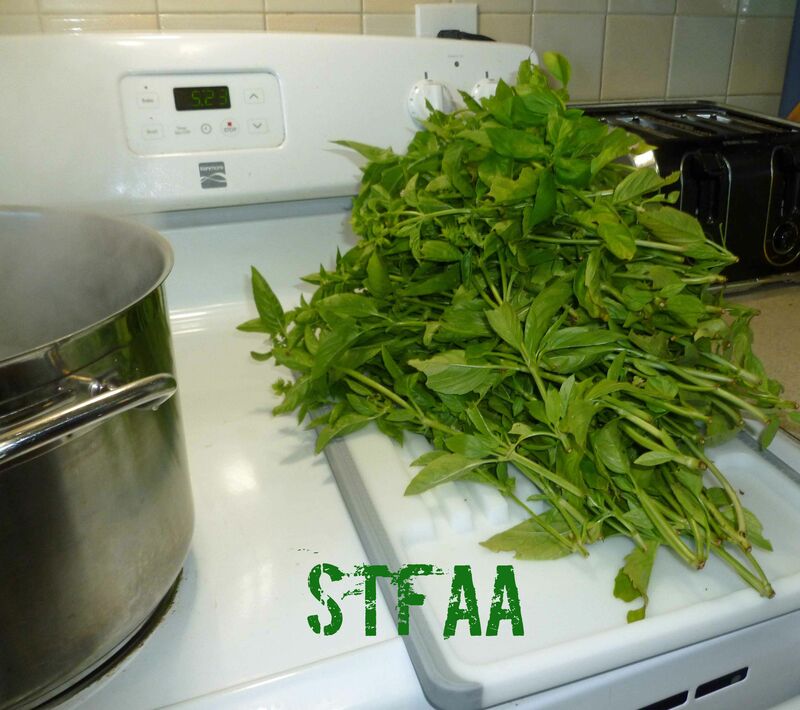 Using tongs, place the basil in your boil water making sure it gets submerged until the leaves wilt. You will likely need to do this in batches. 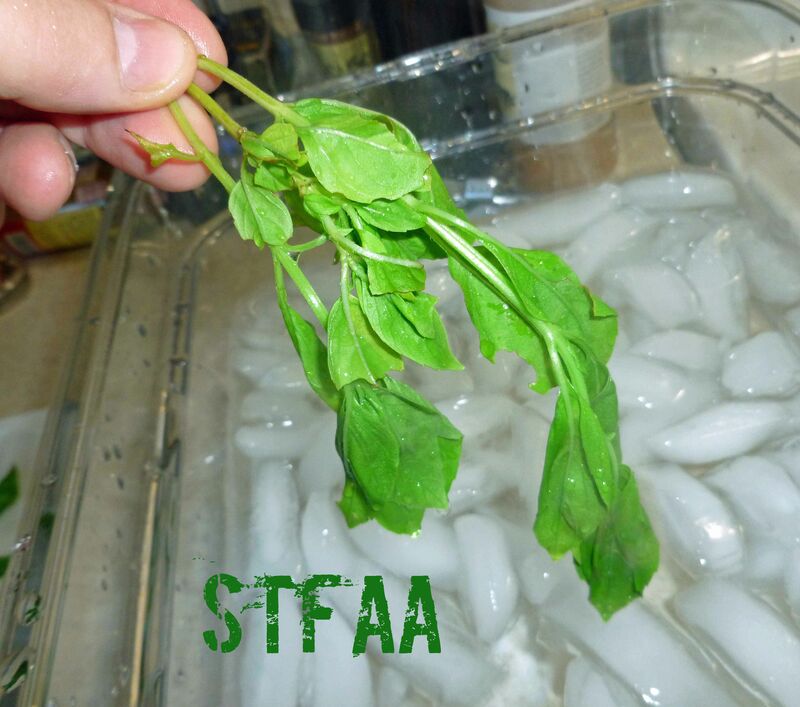 Using tongs, remove the basil and plunge it into the ice water until it has cooled. 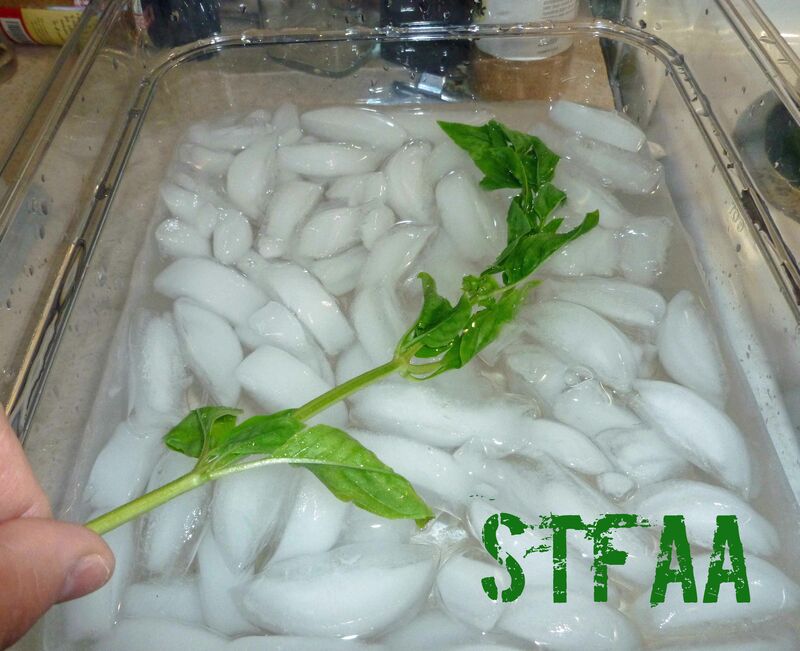 Take basil out of the ice water and set aside. 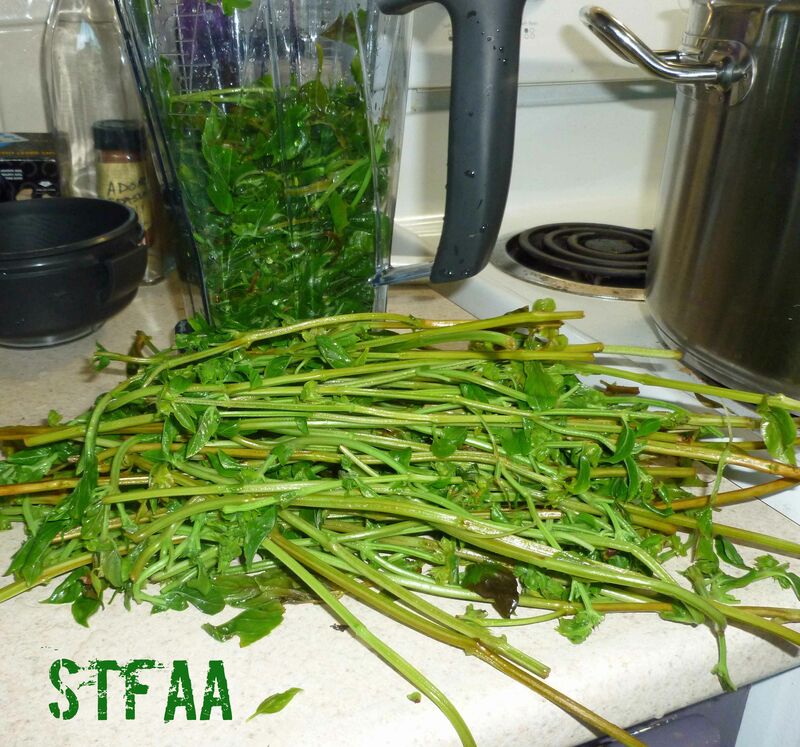 Strip leaves off the stems and add the leaves to the blender. Add enough oil to make a paste and blend. 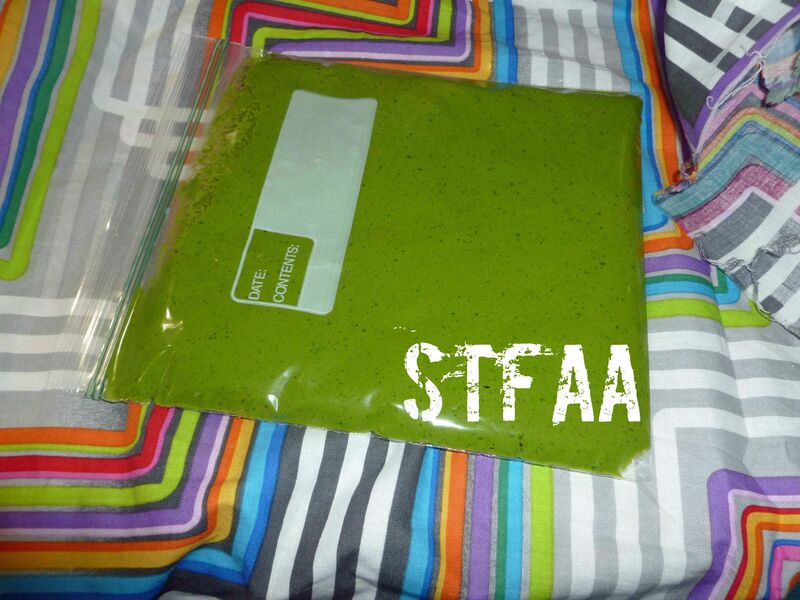 Place paste in ice cube trays or in quart zip top freezer bags. 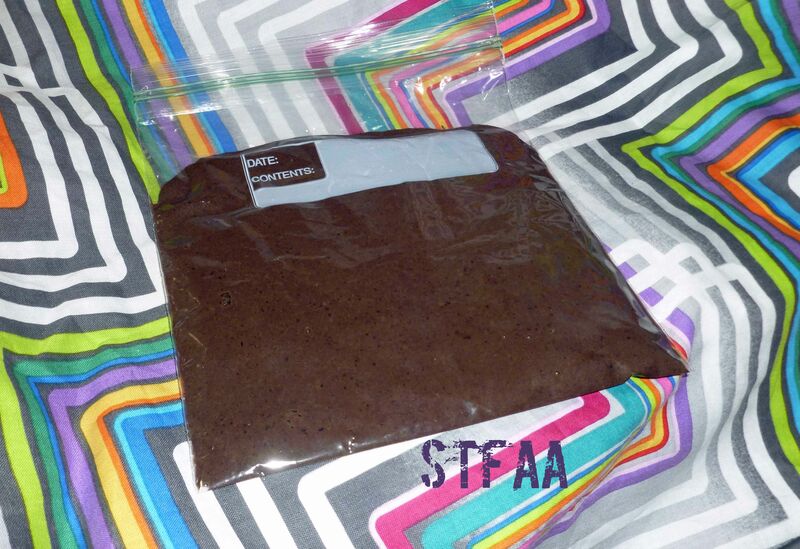 Only fill the zip top bags half full so that you can spread the paste out to freeze in a thin, flat sheet so you can break off what you need without thawing the whole thing.